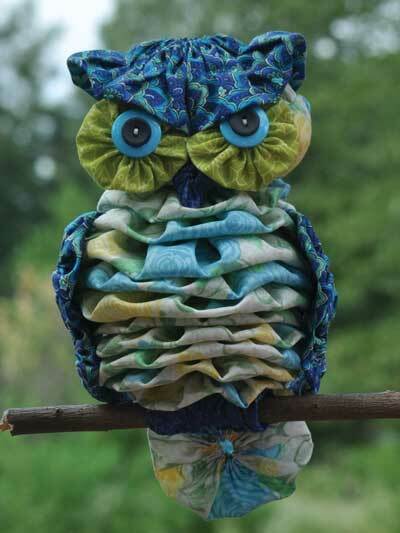 The easiest and cutest owl pattern out there! 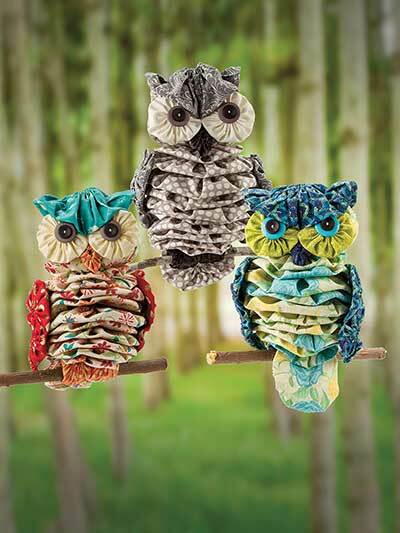 These completely hand-sewn owls are made from a total of 26 yo-yos, 4 buttons and 1 stick -- that's it! Use your favorite fabrics to coordinate with your decor, your little one's favorite colors, or just neutrals to make it look even more authentic -- you can't go wrong with these adorable little guys! 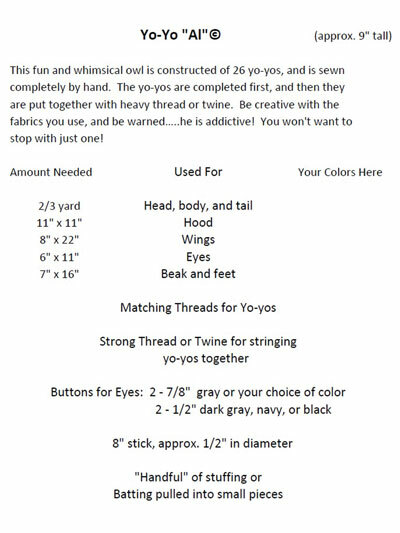 You'll have a hoot creating each one with the step-by-step instructions and diagrams. Paper template is provided for making the yo-yos. 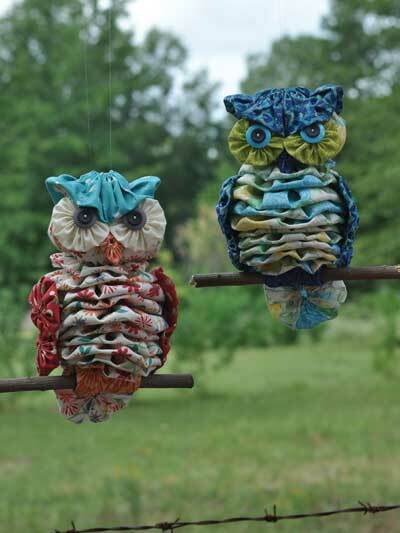 Finished size of each owl is approximately 9"H.
A great pattern, easy to make. have made 4 differ sizes. I made this for my granddaughter's birthday last year. The fabrics were different shades of purple with butterflies. She loved it! It's a little tedious, but the more you make the better you get. Loved it! I really like this owl. It is charming and the use of yo yos is effective. I am very disappointed, however, because there are only hand drawn circles that should be used as templates. There are no measurements. I bought the pattern because I don't like to rip off designers and primarily, I wanted the measurements. I don't like wasting paper to be able to measure the circles. Please revise with measurements! Andrea - We would like to find out more from you concerning your post. Someone from pattern services will be contacting you shortly to see what we can do to help. I enjoyed making my first owl for my daughter's first baby girl. It was a physical challenge for me, due to manual dexterity issues, however I finished it! When I would occasionally get stuck on a difficult part of the instructions, I would refer to the diagrams provided and this I found to be a great help to me. My owl does not really sit that well alone and is more floppy than I had anticipated, but it is adorable, just the same. It just needs to have a little support from behind. I may add a ribbon at the top of the head and hang it in the baby's room. 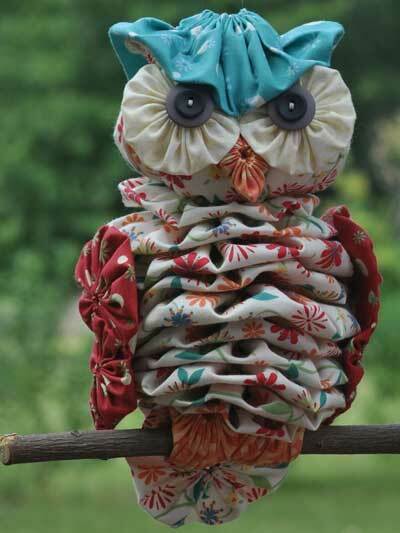 I feel confident that if I were to make a second owl, it would come out even better! A great, easy pattern. Had fun making Al from scraps in my stash. Good, clear instructions, too.